Beer is a daily companion to relax. In Bali, the most famous local beer is Bir Bintang. This beer is very easily obtained in Bali. In small shops to supermarkets and malls sell this beer. In Kuta, almost in every place there is the seller of this beer. Bir Bitang has become an icon for tourism in Bali. Along the Kuta beach, there are many sellers Bir Bintang. This beer is usually sold with a bottle. Foreign tourists are very happy with this beer because the price is very cheap with a delicious taste and appropriate. The price is cheap, easily available, delicious taste, making this beer is very famous. Since it is very famous in Bali, Bir Bintang become the logo in a variety of t-shirts and handbags. Bir Bintang known large star logo and striking. Red star, with a white base. Bintang beer, controls almost 60 % of beer sales in Indonesia. Being able to sell 50 million liters annually. Bir Bintang is the best beer in Indonesia. Western travelers were happy to find the perfect beer when they visit Indonesia, especially Bali. That is why the beer is very popular and always in drinking by foreign tourists. 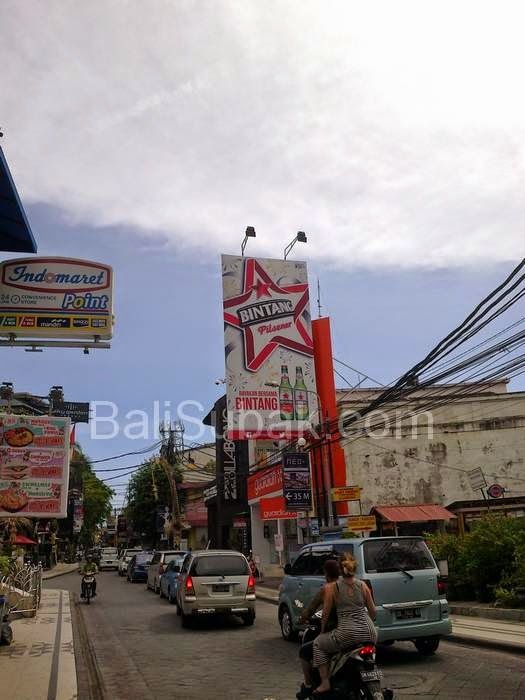 If a visit to Kuta, along the roadside, there are many star logo which indicates that beer is the star icon in Kuta tourism. Bir Bintang logo can be found on T-shirts, pants, souvenirs are sold at the store. There is even a tattoo that shows the logo of this beer. BirBintang, easily accessible, good quality, good taste, inexpensive, and well-known, is one of Cintra that makes this beer is very popular and make the tourists happy to be in Bali. Indirectly, the presence of this beer into supporting the tourism industry in Bali. Beer is a friend for pleasure tourists in Bali.